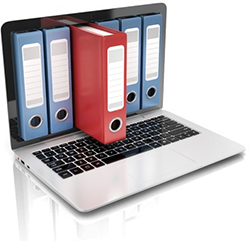 Our Document Library system is designed to help you simplify the ordering process of items you order frequently. Anything and everything you need can be posted in a central location allowing access to everyone in your company to place orders. For orders that need to be verified before we receive them, we offer an order approval tool. You can view past projects, select new quantities, and place orders online any time; day or night. There is no easier way to reorder a project.